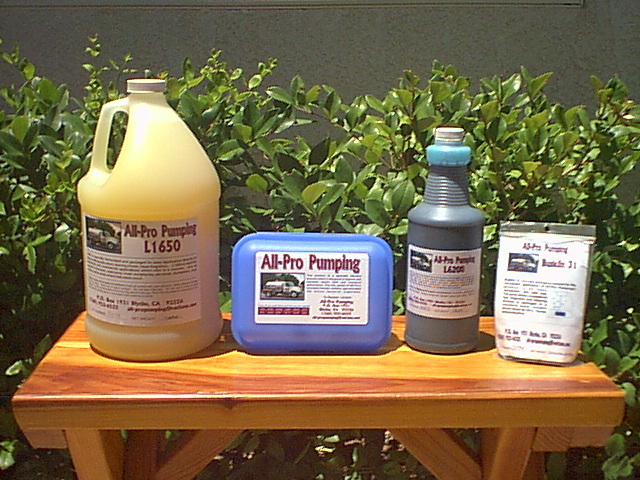 Here are just a few of the products that we used here at All-Pro Pumping. (L to R) Gal. Size Odor Control Liquid,also comes in quart size, 1 year,12 pack box of Septic Treatment,(1 packet per month), Liquid RV Tank Treatrment, and a zip-lock bag with two, easy dissolve packets of RV Treatment.